As a leading provider of digital marketing software used to direct over $15 billion USD in online sales, my company, Kenshoo, has access to a treasure trove of data. As a way to help marketers benchmark their online advertising efforts, we’ve begun aggregating and analyzing performance data across our retail customer base, which includes 5 of the top 10 global retailers per Forbes and 5 of the top 10 U.S. retailers per NRF. 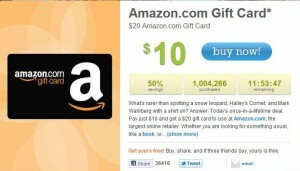 Earlier this month, we released some of this research in the Kenshoo 2010 Online Retail Holiday Shopping Report. Beyond helping online marketers see how their campaigns measured up to the Kenshoo U.S. Retail Index, this report provides a great look into key consumer online shopping trends. 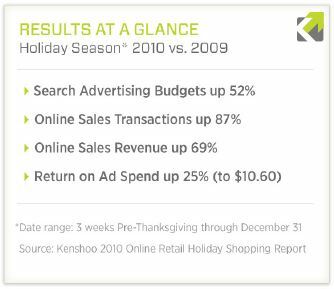 In all, we assessed over 3 billion total search advertising impressions, 60 million clicks and 3 million online sales transactions for the period beginning 21 days prior to Thanksgiving and ending the weekend after New Year’s Day in 2009 and 2010. 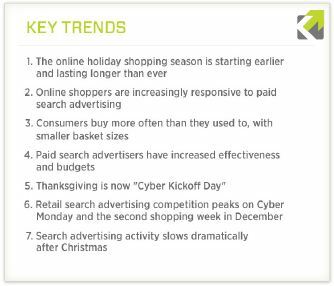 The full report is available for download here and also includes 7 actionable implications for marketers and 5 predictions for search marketing and online advertising in 2011. 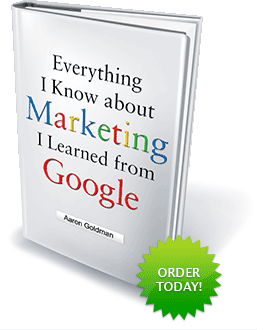 Spoiler alert: it’s going to be a Googley year!